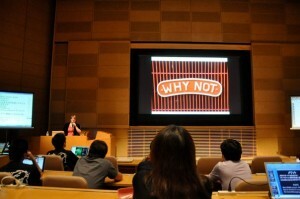 Apart from attending Ruby meetups, my main reason for visiting Japan last month was RubyKaigi 2010. I wasn’t sure what to expect. Would it be all men in button-down dress shirts and pleated pants? Would I give my talk to a room full of blank looks? Would I be the one with the blank look when I went to a talk in Japanese? WOULD THERE BE FAN SERVICE?? No, no, no, and no. Thank goodness. It was one of the best conferences I’ve ever attended. Most of the talks were in Japanese, but they all had simultaneous translation in IRC (and IRC was projected onto screens at the side of the stage). My talk was translated into Japanese in IRC as I gave it, and the video was up the next day. The extra-curriculars were also fun. 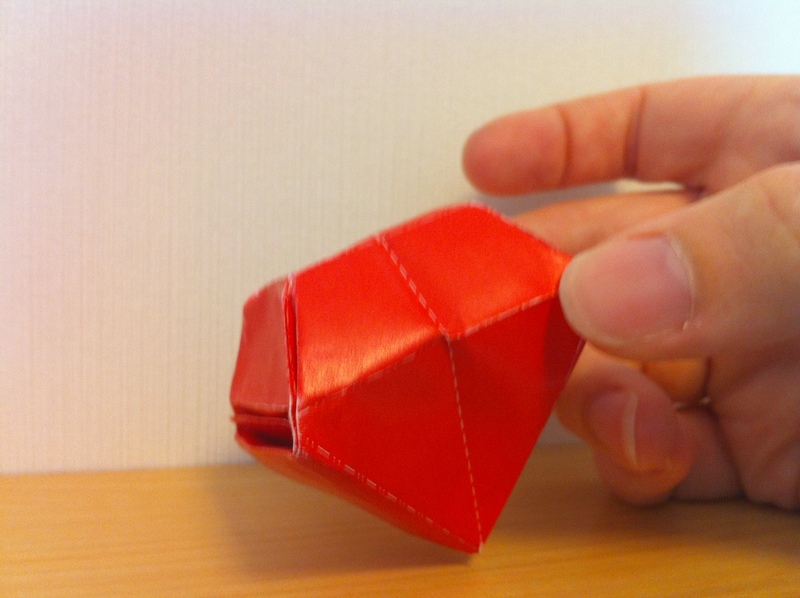 I clumsily made an origami ruby, with much help and encouragement from the instructor, who could clearly do more complex pieces. One of the Asakusa.rb guys gave me a fan from last year’s Ruby Kaigi that has an illustration from _why on it. I think it’s my favorite souvenir. I drank a lot, and went to a matsuri (street fair) where I saw weird dancing robots. I ate a lot of food that I probably would have refused had I known what it was. Most of it was great, though I did manage to go to the TGIFriday’s of Japanese food one night. Oh – and there were other talks. They were great! I particularly enjoyed Yasuko Ohba’s talk on writing DSLs in Ruby. You can get the full set of videos – most of them are quite good. There were quite a few talks on scientific computing and numeric libraries in Ruby. I’m glad I don’t have to work with them, but I’m glad someone’s doing them. I saw a lot of threadless tshirts and baggy jeans – geeks the world over dress the same. That goddamned “#shirt” shirt was everywhere too. I saw at least one Ruby committer packing his own (large) bottle of sake. I did a pair programming subevent, and was able to pair with a couple of Japanese programmers. It pretty much felt like pairing at Pivotal (that’s a good thing). Smart people, it seems, can communicate with each other even when there’s a language barrier. Particularly when there’s a common (formal) language. 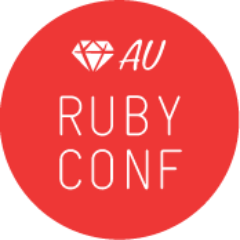 I am already making plans to attend RubyKaigi next year. Thank you very much to Masayoshi Takahashi and Shintaro Kakutani, and all the other organizers and volunteers. Fabulous event. 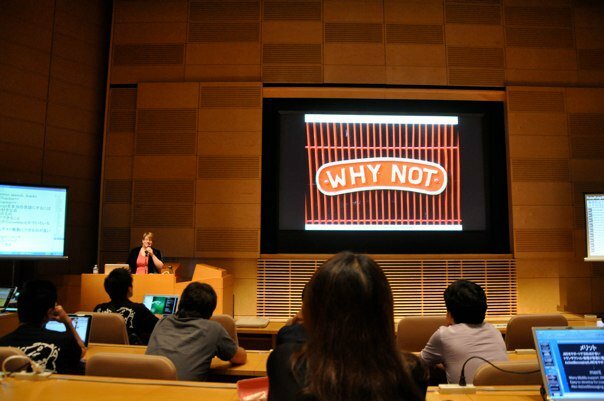 I’m thinking of going to Ruby Kaigi next year as well. Glad to hear it was accessible to both English and Japanese speakers.